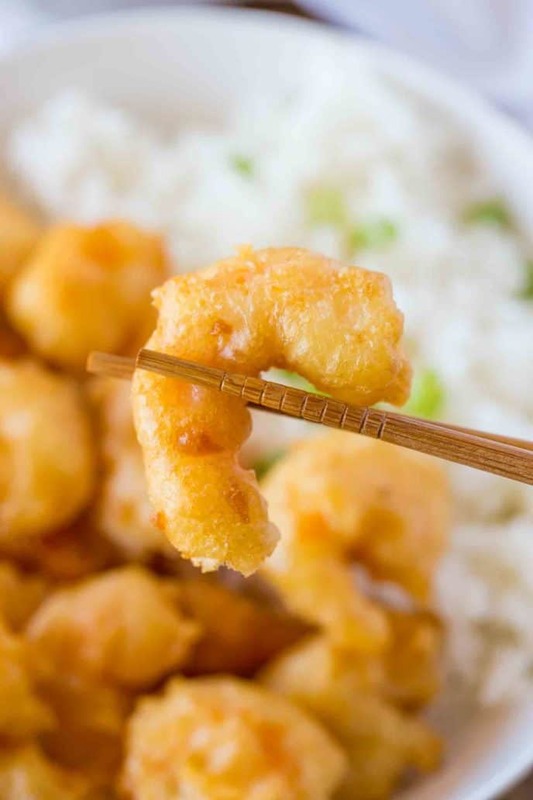 Shrimp Tempura is the perfect Japanese appetizer made with a light batter made and fried super crisp in just 15 minutes. 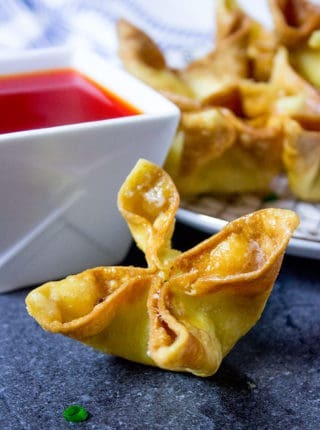 Easy quick Asian appetizers are a fun addition to your favorite takeout copycat meals including Crab Rangoon and Panda Express Cream Cheese Rangoon, dipping them in Sweet and Sour Sauce. 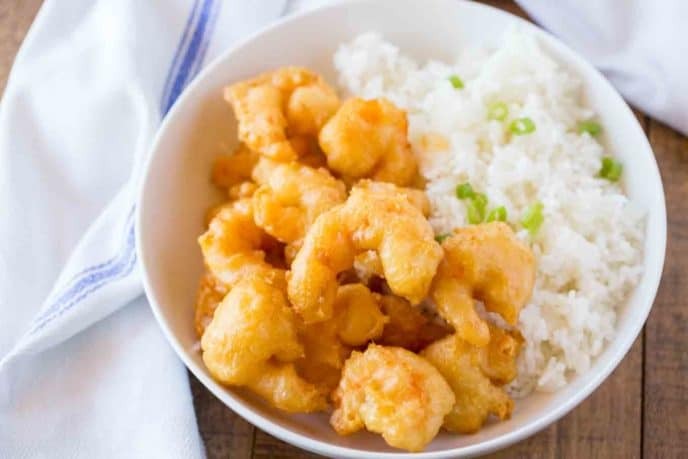 Shrimp Tempura is one of the Japanese recipes that can seem really intimidating because it needs to be so light and crispy to be enjoyed. The idea of frying food in generally can be scary, but using a cold batter that isn’t heavy? 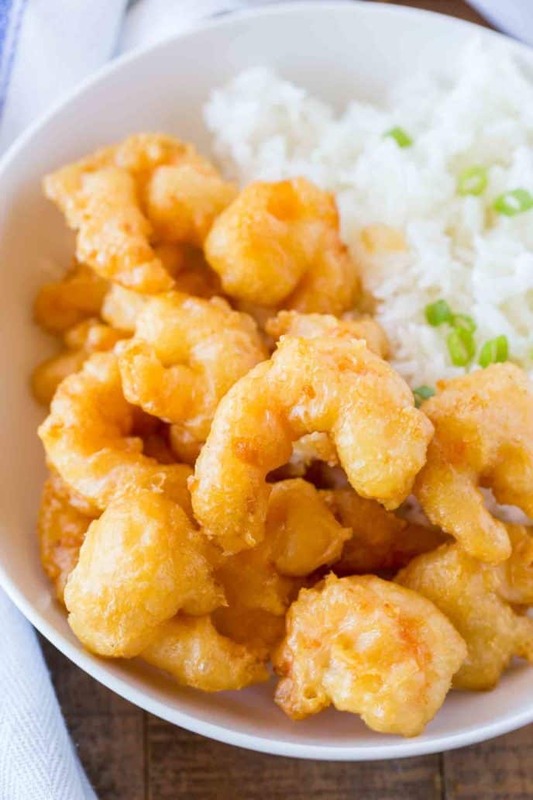 YES, this tempura recipe is so easy I promise you it won’t scare you away. We use regular flour in addition to corn starch to make the tempura batter. Some people add ice water to the mixture but I use club soda to create a lighter texture. Looking for a good dipping sauce for your tempura? I don’t like dipping tempura in soy sauce, the flavor is too strong. Bring the ingredients to a boil in a saucepan then allow to cool. Make sure the club soda is VERY cold (or even put the mixture over a bowl of ice). Do not mix the batter a lot, just until the dry ingredients are combined. You’re going to deep fry the shrimp so use at least 3 inches of oil in your pot. Do NOT remove the shrimp to a plate with paper towels. The paper towels will create steam which will lose the crispy texture you’ve worked so hard for. 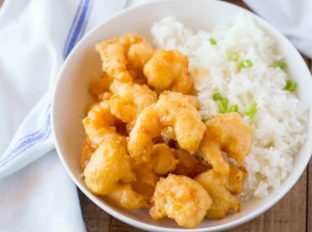 How do I make shrimp Batter? We use an easy mixture of regular flour, corn starch and baking powder mixed with club soda, salt and pepper. Not a single ingredient that is difficult to find. Depending on the vegetable you need to cook it before frying. Broccoli Florets: Steam for 2 minutes. Carrot Slices: Steam for 3-4 minutes. Sweet Potato slices: boil until fork tender but not falling apart. Onions: Can be used raw, but I boil for 20 seconds. Acorn Squash: Steam until fork tender. Mushrooms: Can be fried raw. Zucchini: Steam for 2 minutes. Once you’ve cooked and cooled your vegetables, dredge them in the dry tempura mixture. Add in the club soda, dip the vegetables in the batter and let excess batter drip away before frying until golden brown. The time you spend frying vegetables once covered in batter is only to cook the batter, not the vegetables. Set a pot of oil (3 inches deep) on medium high until it reaches 375 degrees. Whisk the flour, cornstarch baking powder, kosher salt and white pepper in a bowl together. Dredge the shrimp lightly in the mixture and set aside. Add in the club soda and whisk, then dip the shrimp in the batter before carefully frying in the oil for 2-3 minutes or until golden brown. Sounds amazing! Thanks for the 5 stars. I made this and it was good. I also did 1″ Swai squares and pre-steamed veggies, also good! All cooked about the same amount of time. So glad you enjoyed it, Patti! Easy and the shrimp came out light and airy! Thank you for another terrific and EASY recipe! You’re welcome! Thanks for the 5 star rating. Can you use this recipe for fish? I haven’t tried it but I don’t see why not. If you decide to try, I’d love to know how it turns out. 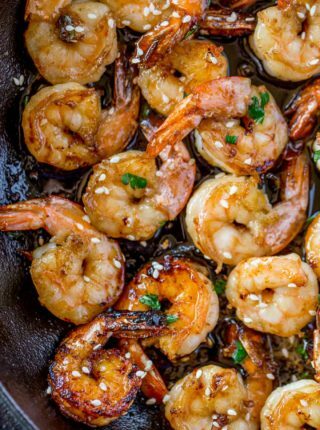 My kiddos love shrimp, I need to give these a try! They look delish! 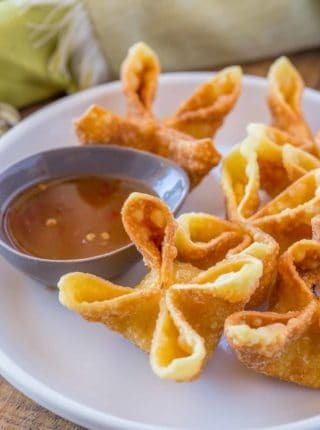 These look so perfectly crisp and that batter is so simple to prepare. Oh I love tempura so much! I can’t wait to try the shrimp recipe! They are so perfectly battered! Amazing. Yum! This looks so crispy and delicious! 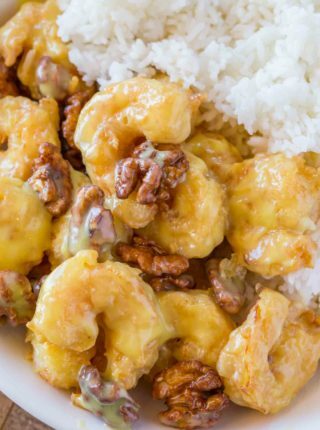 This is the best way to enjoy fried shrimp.